Dentists Nationwide Are Being Targeted in Medicaid Fraud Audits and Investigations. Could Your Practice Be at Risk? If So, You Need Experienced Legal Representation. As a dentist who relies on Medicaid to pay your staff and keep the lights on, one of the greatest risks to your practice is the risk of having your Medicaid eligibility taken away. While most practicing dentists assume that this will never happen to them, many are learning the hard way that this risk is all too real. Like all health care practitioners who bill Medicare, Medicaid, Tricare, and other government health care benefit programs, dentists are subject to constant scrutiny by federal agencies such as the Department of Health and Human Services (DHHS) and the Centers for Medicare and Medicaid Services (CMS). Dentists are also subject to being audited by CMS’s “fee-for-service” contractors – private companies that get paid to find evidence of overpayments on a contingency-fee basis. When audits and investigations lead to allegations of Medicaid fraud, even if these allegations are unfounded, dentists who fail to protect themselves can suddenly find themselves facing huge financial penalties, licensing action, program exclusion, and even federal imprisonment. To avoid these types of consequences, dentists who discover that they are being audited (or that they have already been audited) must take proactive measures to defend themselves. First, and most importantly, this means hiring an experienced Medicaid audit defense attorney. Preventing an audit from leading to a federal investigation (and from ultimately leading to federal charges) requires an aggressive and targeted defense strategy. This requires knowledge and insights that can only be gained from extensive experience fighting auditors and federal agents in Medicaid audits and investigations. Medicaid Audits: Did You Know? 1. You Can Be Audited without Even Knowing It. Most inquiries into dentists’ Medicaid billing practices start with “desk audits” conducted by CMS audit contractors. Desk audits are conducted remotely using Medicaid billing data, and they do not involve any interaction with the provider who is being audited. 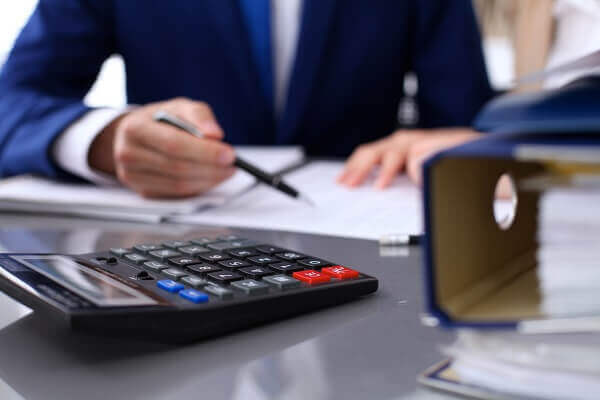 While this may sound like a good thing since it means that you do not have to deal with any auditors directly, the reality is that it means these auditors are left unchecked to lodge allegations that trigger payment of contingency fees from CMS. 2. Once You Have Been Audited, You Have 35 Days to Respond. Once you receive a Draft Audit Report following a desk audit, you have 35 days from the date of the report to submit a response. For most dentists, this means challenging allegations of Medicaid fraud that are either misguided or just flat-out wrong. If you do not challenge the auditors’ determinations, then you will be subject to recoupments and any other penalties imposed. 3. There Are Many Flaws in the Medicaid Audit System. From relying on faulty methodologies to employing auditors who have exactly zero experience in dental practice, there are a number of fundamental flaws in the Medicaid audit system. This is somewhat ironic since the system’s express purpose is to identify flaws in health care providers’ billing practices. Regardless, the high number of significant flaws means that faulty audit determinations are common, and even dentists who maintain fully-compliant Medicaid billing practices will often need to be prepared to defend themselves against allegations of impropriety. 4. The Audit System Is Bad for Patients (and Practitioners) Who Rely on Medicaid. While there is no doubt that real Medicaid fraud is a serious federal law enforcement concern, there is also strong evidence to suggest that aggressive auditing and penalization of legitimate dental practitioners does more harm than good. This is particularly true in the field of pediatric dentistry, where studies have shown that children who rely on Medicaid-reimbursed dental care tend to have less healthy teeth than children whose parents have private dental insurance. Unfortunately, the risk of being targeted and civilly or criminally sanctioned is driving many good practitioners away from Medicaid-reimbursed practice. This means that children of lesser means have less access to quality dental care. 5. In Many Cases, an Audit Is Just the Beginning. As if the risk of being audited isn’t enough, when a CMS audit contractor determines that a dentist’s billing practices are indicative of fraud, that auditor can refer the dentist to CMS, DHHS’s Office of Inspector General (OIG), or the U.S. Department of Justice (DOJ) for further investigation and potential federal prosecution. In cases involving allegations of Medicaid fraud, dentists can face civil or criminal charges under the False Claims Act, the Anti-Kickback Statute, and various other federal laws. What do you need to do once you discover that your dental practice is being audited or you receive a Draft Audit Report in the mail? Engage Experienced Defense Counsel Promptly – When facing a Medicaid audit or responding to a Draft Audit Report, hiring experienced defense counsel is the best way to protect your practice against recoupments, program exclusion, and other penalties. Avoid Communicating with Auditors Directly – These auditors do not have to inform you of your rights, and they will use a number of tactics to try to solicit damaging information. To avoid costly mistakes, communicating with auditors is a task best left to your attorney. Conduct an Internal Assessment – Is there anything for the auditors to find? If so, you need to find it before they do so that you can build your defense strategy accordingly. This is a task that needs to be undertaken in strict confidence and with the guidance of your attorney. Execute a Targeted Defense Strategy – From challenging faulty auditing methodologies and assumptions to presenting evidence of compliance, an effective defense strategy must be targeted to the specific facts and circumstances involved in the audit. Don’t Forget about Your Practice – When facing the potential for federal prosecution, it is easy to lose sight of the day-to-day activities of treating your patients and managing your practice. You know what is best for your patients, so you should focus on caring for them while your defense team uses its experience to protect you. For more information about the risks involved in dental Medicaid audits and the defense strategies that we can use to protect you against unwarranted penalties, please contact us to schedule a free and confidential case assessment. To speak with Dr. Oberheiden about your audit defense, call (888) 356-4634 or tell us how to reach you online now.